If you have a loved one who is clutched in the arms of drug or alcohol abuse, you can refer them to Ascend Behavioral Health and Wellness, LLC. Let your loved one know that you care about them. Enlisting the help of our professionals through intervention services and rehabilitation planning is a good start. Anyone who is facing the challenges of addiction needs to be aware that there are people who care about them and are affected by the choices they make in their lives. The time to act is now! We offer a comprehensive treatment for alcohol and drug addiction which will be rendered by our highly trained behavioral health staff and counselors. 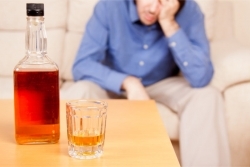 We have a conducive environment that can wean the individual from seeking alcohol or drugs. Our behavioral treatment strategies will keep addictive urges to the minimum so as to give the body a chance to be alcohol-free or drug-free. We want to foster this sober path for the person you love. However, such rehabilitation cannot take place if they do not get the help they need right now. If you know someone who is addicted to alcohol or drugs, you may speak to our counselors and be guided in the right approach to bringing your loved ones to experience our program. You may call us at 602-471-5053.